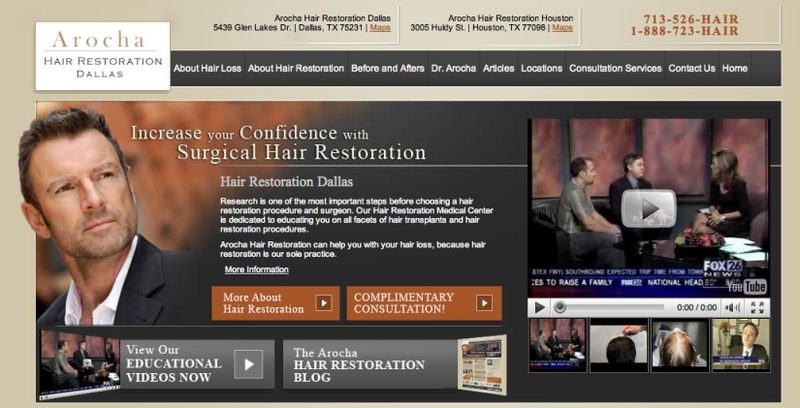 We are excited to announce the recent launch of our new Arocha Hair Restoration Dallas website. The new website features patient before and after photo galleries, links to all of our social media outlets, in-set video player on the homepage, and much more. Take a look at the newest addition to the AHR online presence.